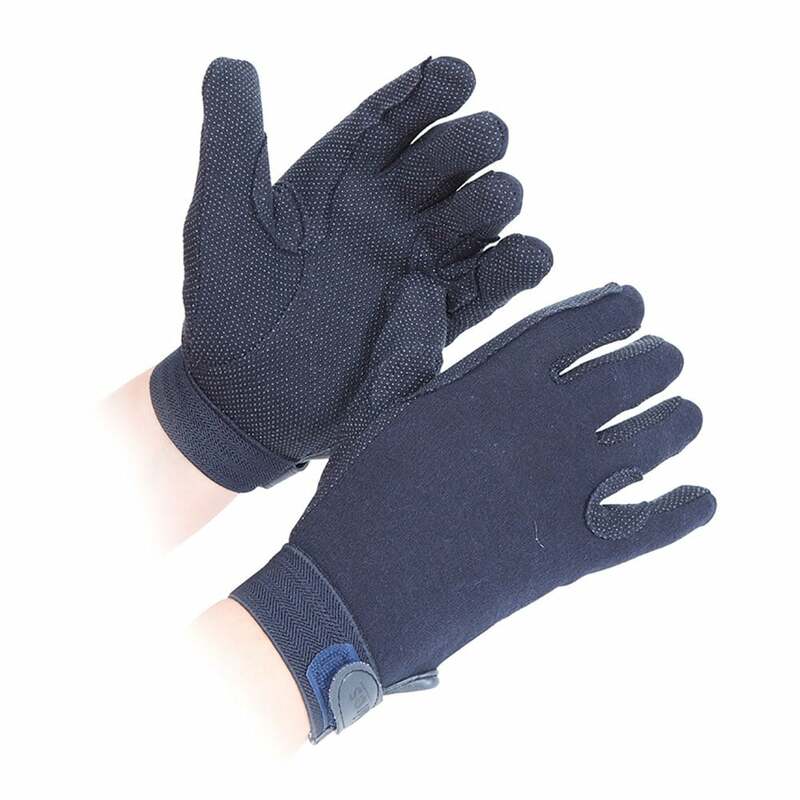 These Shires Childs Newbury Gloves are specially designed for riding and feature good flexion for ease of movement. Featuring reinforcements to help protect from wear and tear on the fingers and palms offering superior comfort, and rubber pimples to provide grip on the reins. Available in three child's sizes, made from 100% cotton with elasticated wrists for a close fit.